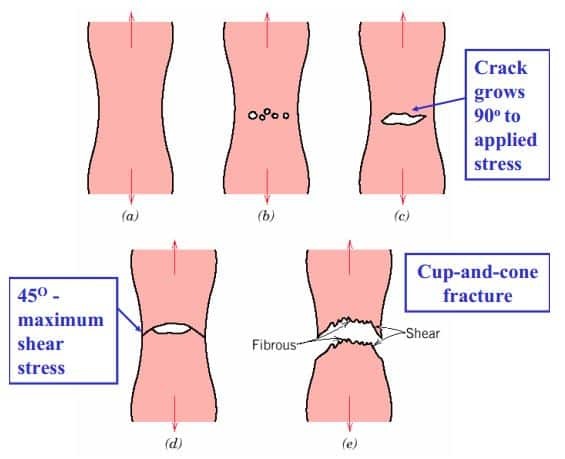 Fracture: separation of a body into pieces due to stress, at temperatures below the melting point. portion of the material decreases. This is a result of uniaxial tension or stretching. This newly smaller area has very large amounts of strain and is seen as an instability, called the “neck”. The act of necking can be shown on a stress-strain diagram. It is the range on the graph from the ultimate stress point to the point of fracture of the material. 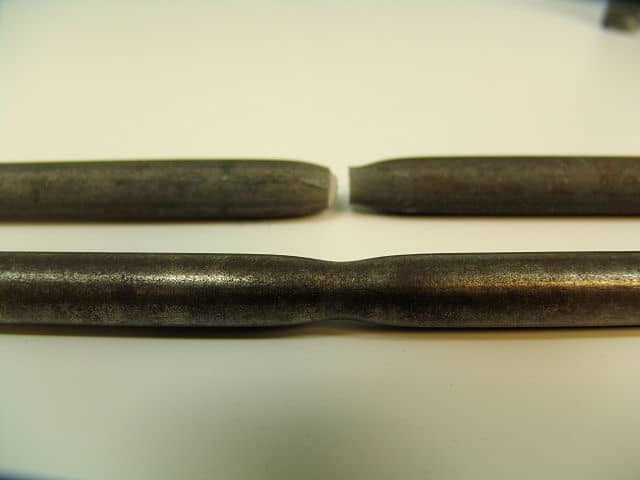 Necking takes place after a material passes through the elastic, yielding, and strain hardening region of a material test.